Australian businesses and government departments looking to transfer their applications into the cloud will have more choice in 2015 after Microsoft recently announced that it will launch a local datacentre dedicated to Office 365 and Dynamics CRM customers. 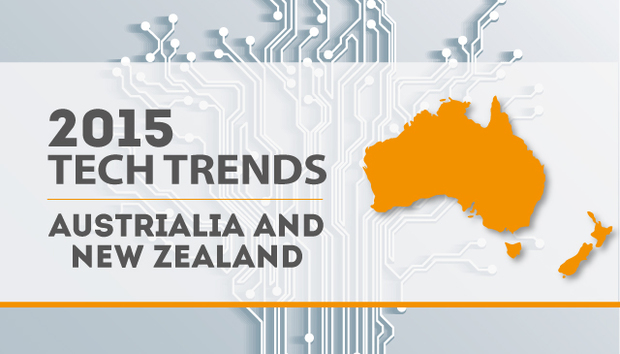 The episode is indicative of the way Australia is moving in 2015. The move is an important play for the software giant because although it is still the 800-pound gorilla when it comes to office productivity software, the Redmond giant has been losing local customers to rivals such as Google. In a press conference held in Sydney on Monday, Microsoft’s Australian managing director Pip Marlow explained that the move is a continuation of the global “paradigm shift” being experienced by the company since Satya Nadella was appointed CEO in February. In March 2015, for the first time, Office 365 and Microsoft Dynamics CRM online will be hosted from a dedicated datacentre located in Australia. This builds on the company’s Azure ‘platform as a service’ offering, which in October was certified by the Australian Signals Directorate to hold government information. The move has been welcomed by IBRS analyst Joe Sweeney, who said it was already becoming increasingly difficult for Australian organisations to justify running their own email systems — unless they had very strict security and compliance requirements. “Microsoft has now answered that problem,” said Sweeney. Sweeney believes Australia is now swiftly moving towards embracing a subscription-based model for office productivity software. “What we are going to see is a huge uptake for organisations opting for subscription licensing on productivity suites. At the tail end of 2015 to 2017, we are going to see the traditional desktop office productivity suite decimated and moved quite heavily into a subscription-based online/offline mode service,” he said. Sweeney believes that all Australian companies, regardless of size, are going through a transformation where their IT systems are no longer separate from their business systems. “The old adage that IT must be aligned to business is probably over. IT and business must be integrated — business is taking over IT and IT is becoming part of business — you can’t separate these things. That is going to be a big trend in Australia next year,” Sweeney said. Transformation and disruption of traditional businesses has been gaining pace Down Under during 2014 and will continue to accelerate in 2015. Not only are companies such as Netflix, Uber and AirBnB making life rather uncomfortable for established players in their respective industries, the real threat of a slowdown in Australia’s economic growth could force even relatively new firms to rethink their business plans, according to Mark Troselj, managing director for NetSuite APAC and Japan. “Because Australia has been protected by Asia and the resources sector, we haven’t really felt a lot of pain when it comes to the economy — that pain is coming,” said Troselj, who points out that during the global financial crisis, cloud computing continued to grow in the economies most affected by the slowdown. A recent report by analyst firm Frost & Sullivan found that just 30% of Australian businesses are able to transact online with their customers, while only 22% said they expected to change their business model over the next five years. This figure was lower than in any of the other countries surveyed, which included the US, UK, Singapore, Philippines, Japan and Hong Kong. With all the recent developments in cloud technology, Australia should start catching up to these other countries but it has a lot of improvements to make before closing the gap on Singapore, where almost 70% of firms allow their customers to place orders online. This apparent gap in readiness for trading online is certainly not due to a tech phobia, according to Duncan Bennet, VP and managing director, VMware Australia and New Zealand. “The challenge we have in Australia is largely geography — we have a landmass similar to the USA but with a population slightly larger than Greater Los Angeles,” said Bennet. Bennet claims that Australia (along with New Zealand) is leading the world when it comes to server virtualisation technologies — because they allow greater flexibility when managing remote sites and deploying disaster recovery technologies. “Australia and NZ are the most mature markets for VMware in our traditional server virtualisation. Many, many of our customers are 100% virtualised on the server and they have been able to extract themselves from the underlying technology — whether they are running their apps in-house or if someone is hosting for them, or if they are in the cloud. The adoption of server virtualisation here is well ahead of the rest of the world,” he said. However, moving away from traditional hardware by virtualising servers and pushing applications into the cloud may make systems more efficient and flexible but this transformation also introduces new risks, especially when it comes to securing that data, according to Andrew Wilson, CEO of Melbourne-based security firm Senetas. Wilson also noted that, unlike the US and the UK, Australia has still not adopted a policy of mandatory breach notifications — something he hopes will happen in 2015. Even without specific legislation, some high-level security breaches have made it into the public domain — including attacks on the NSW State Revenue Service and Australia Post. According to Gerry Tucker, ANZ Country Manager of another security software firm, Websense, Australia is an attractive target for cyber criminals. “On the black market, an Australian credit card is worth between three and four times what a US credit card is worth, so, therefore, targeting Australia potentially provides a higher return,” explained Gerry. Another attack vector is through the Internet of Things – connected devices that are increasingly being used by criminals to gain network access. “Target was hit by an Internet of Things attack — the information came from POS terminals that were connected to the internet. These are parts of an organisation’s infrastructure that you wouldn’t traditionally associate with the internet,” said Gerry. “In 2015 we are going to see an increasing number of attacks around that,” he warned. Australia’s adoption of the new 812.11AC WiFi standard is another factor that will increase the number of devices connected to the internet and so increase the attack vector. According to Graeme Reardon, managing director of networking company D-Link ANZ, at the end of September 2014 around one third of the routers sold Down Under were 802.11AC-enabled. “The Samsung S series, Samsung Note series, HTC 1, iPhone 6, iPhone 6+… all of these have AC. These are driving the consumer at home to update their networks,” said Reardon, who predicts that after years of speculation, 2015 will finally be the year of the connected, automated home. “I’ve been in this network industry for 15 years and I’ve probably said that three or four times but if you look at the big picture, this time all the big companies are suddenly aligned. Apple, Google and the local players are all talking about the connected home and specifically, automation,” said Reardon. “Next year it will be affordable and easy to manage because it will be based on wireless AC technology”. Australia may be known as an early adopter of certain technologies — it’s had the highest penetration of smartphones in the world since 2010 — but it’s not very well known for innovation and developing companies, which is not a surprise, said Professor Jana Matthews, ANZ Chair of Business Growth at the University of South Australia and Startup Australia board member. Matthews said the landscape for startup companies in Australia two years ago was far from accommodating, and although the situation has improved, much more needs to be done in 2015 to encourage entrepreneurship. One of the main problems in Australia for a new company is the lack of mentors and shared learning, Matthews said. “[Local startups] don’t have as many role models so everyone is in discovery mode. In the US, you have many more people who have done it before and are willing to share and mentor — in Australia they are more private about it,” she said. In addition, Matthews claims the legislation hasn’t been favourable. It was only this year that tax laws governing share options were changed. Previously, anyone receiving share options would be taxed as soon as they were issued, which she described as “ridiculous”. In 2015 there should be increasing recognition of the role startups play in the Australian economy and Matthews is hoping more companies will be able to take the leap from being a startup into a growing company, which creates employment and contributes to the Australian economy. Born in Uganda and raised in London, England, Munir Kotadia has been interested in technology since he got a Commodore 64 in the early 1980s. He has been a tech journalist for over 15 years and has won awards for his writing, photography and videography. He lives in Sydney, Australia.